These handy, quilter's roll clips help you manage your quilt while hand or machine quilting. Simply roll up the excess fabric and place the clips around it. 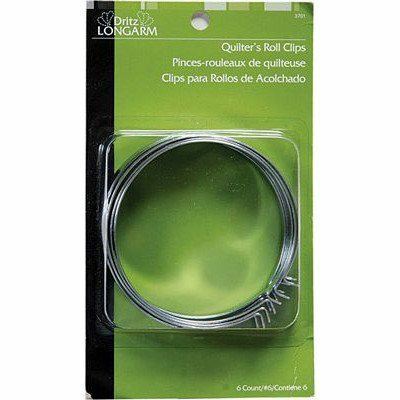 Quilter's Roll Clips will keep fabric layers from shifting apart during quilting.